This time the featured category page is Christchurch - click HERE to visit the page. On this page, most of the wedding dresses have some sort of lace component. 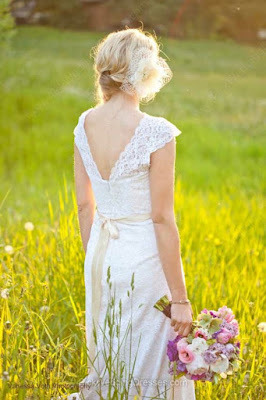 I think lace wedding dresses made a comeback recently and this style of dresses can look very elegant and classy. Lace style dresses often comes in a little more "cover" material such as long or mid sleeve, over the shoulder, or higher neckline. But how elegant and sweet is this dress below? The lace adds the delicacy and extra fine details to any dress look! 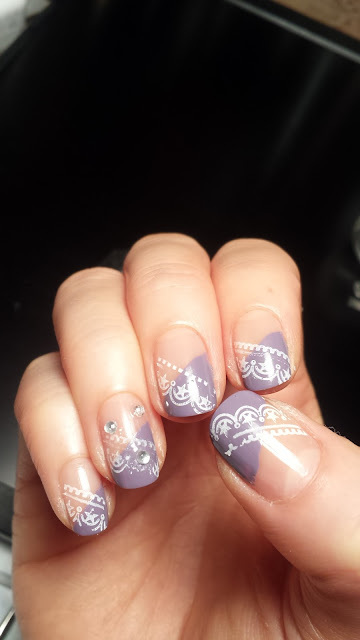 For this wedding manicure, I went for one with a little twist. It is not the usual white tip with jewels nails. I was inspired by all the lace that was going on here and I went for a purple and white lace stamping. You can also use any color you want to match your wedding color theme! 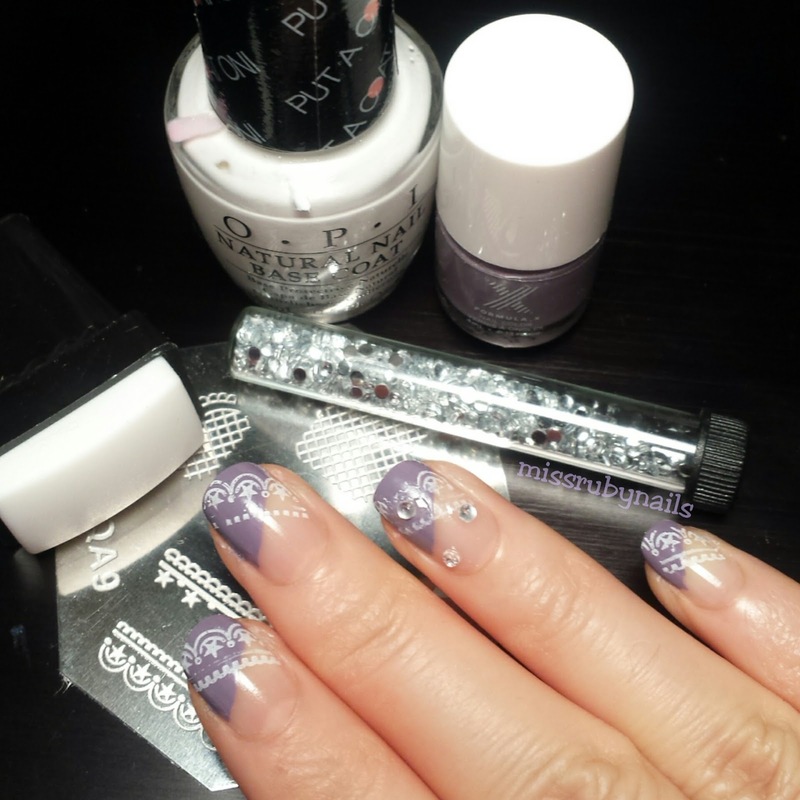 I started with a swipe of purple diagonally across all nails. 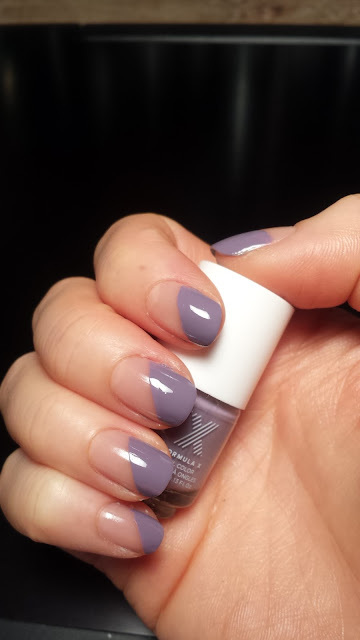 This Formula X one is opaque enough that I was satisfied with the color in one coat which is great for this look. 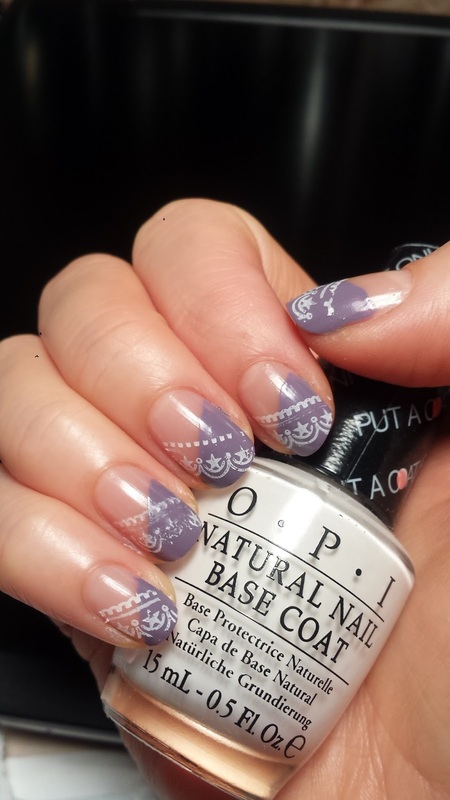 After the purple had completely dried, I took my lace pattern stamping plate and stamped on a white lace diagonally over the purple, going on the opposite direction. I then finished it off with a few nail jewels and top coat then we are done! 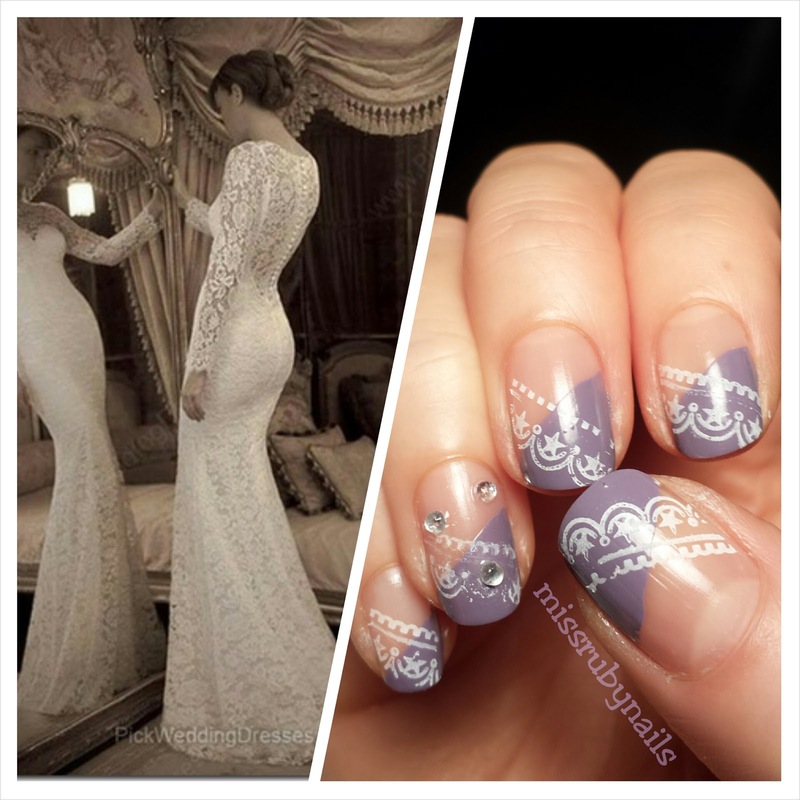 A little different style of manicure but still elegant and classy looking enough for weddings! Would you pick a lace wedding dress? Click HERE for the previous Dress X Nails blog post! So beautiful... I remember my wedding nail art design , and it was awesome too. It looked like the last one with 3D flowers.